ROME – During campaigning in the lead up to Italy’s regional elections on Sunday, Northern League leader Matteo Salvini has reiterated his calls for Roma camps to be razed. 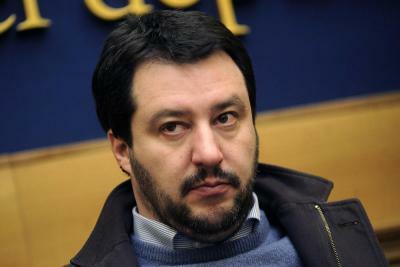 Salvini, who has been accused of inciting racial hatred, made the comments following an incident where a car, reportedly driven by two Roma minors, killed a 44-year old woman and injured eight others on Wednesday. In the aftermath of the incident, police sources said that they were focusing their search for the minors, on Roma camps in the capital and several homes throughout the city. However, Matteo Salvini claims that this serves as a clear example of why Roma camps should be razed. “In the rest of Europe, Roma camps do not exist and I think that everyone should have the same rights and the same obligations. I do not understand why only in Italy there are 40,000 people living in camps,” he added. In addition to the death of the 44-year old woman, three other people remain in a critical condition in hospital following the tragedy. Wednesday's events precipitated a host of anti-Roma posts on social media. Dijana Pavlovic, the head of the Fondazione Roma-Sinti Together, accused Salvini of exacerbating these racist feelings by inciting hatred.